28th Dec, Jammu: Three week long Faculty Development Programme from 19th -28th December on Entrepreneurship Development culminated at Central University of Jammu, with an impactful Valedictory Session by Padmashree Prof. Y.S Rajan. The programme was organised by The School of Business Studies in collaboration with University Business Incubation Centre (UBIC) and Faculty Induction Development Cell, Central University of Jammu, Jammu sponsored by Entrepreneurship Development Institute of India (EDI), Gandhinagar, Gujarat under DST-NIMAT Project, GOI. Speaking on the occasion, Prof. Ashok Aima, Vice Chancellor, CUJ, congratulated the School of Business Studies and the UBIC, for taking such forthcoming initiative. He reaffirmed that the Central University of Jammu is committed to develop and nurture the culture of entrepreneurship in the region and this FDP, he hoped is a step that imparts knowledge and develop skills in diverse training methods hence, impart training to students and entrepreneurs. He expressed satisfaction that SBS has organised nearly 25 such programmes till date though being a young University. He announced that Centre for Computational Mathematics along with Centre for Ethics and Good Governance and Centre for Earth Sciences have been approved and will be established in a short period . He apprised that starting with 8 programmes now the University is successfully running 35 programmes. 46 Startups, Major and minor research grants have been funded by various agencies in the University. Prof. Y. S. Rajan who has co authored the book India Vision2020 with Late Shri APJ Abdul Kalam, Former President, India, is a well known scientist and has made key contributions to space research, technology and applications since 1964 and continues to be an important expert on space matters. As Scientific Secretary, Indian Space Research Organisation (ISRO), he was responsible for a combination of scientific, technical, administrative, planning, policy and international cooperation matters. His contributions in shaping ISRO from its initial experimental phases into a major service delivery organisation have been remarkable. In the process, he has also been a creator of many institutions and sustainable mechanisms between ISRO and its end-users. He has worked with Massachusetts Institute of Technology (MIT), USA and NASA for about three years. Speaking on the occasion, he mesmerised the participants with his interactive session. He reiterated that in the dynamic world order change is the only way forward. Therefore, he said it is imperative to get future ready. He encouraged the faculty members to learn and excel in life. Earlier, Dr. Jaya Bhasin, Chairperson, UBIC briefed the gathering about the program. She said that under the guidance of Prof Ashok Aima, the University has set up University Business incubation centre and also has started various skill based courses which are first of their kind in the entire State. She said that the primary aim of organising such a programme by the Central University of Jammu is to create mentors who can facilitate the young generation in becoming successful entrepreneurs. She informed that participants, Assistant Professors from various institutes across the region actively participated in the FDP. She briefed that a number of resource persons had interacted with the faculty during the three weeks including Prof. Prasad from NITIE, Mumbai; Mr. Rayees and various resource persons and Trainers from JKEDI; Dr. Sanjeeva Shivesh from School of Entrepreneurship, Gurgoan; Ms. Kalpana Singh from IMS, Noida; Sh. V. K. Maini from J&K Bank; Various Industrialists, Officers from J&K Government, Consultants and Entrepreneurs. Dr. Shahid Mushtaq, Coordinator, FIDC and Mr. Asif Ali , Astt. 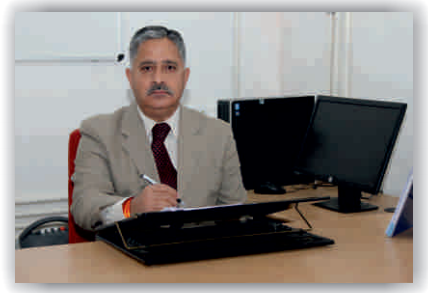 Prof., Deptt. of HRM & OB coordinated the three week FDP. The programme was conducted in line with the provisions of UGC-HRDC for refresher courses. Faculty members from CUJ, University of Jammu and other universities from the State attended the programme. The formal vote of thanks was presented by Dr. Neelika Arora, Assistant Professor, Deptt of HRM &OB.